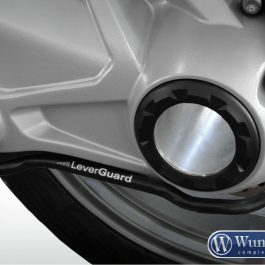 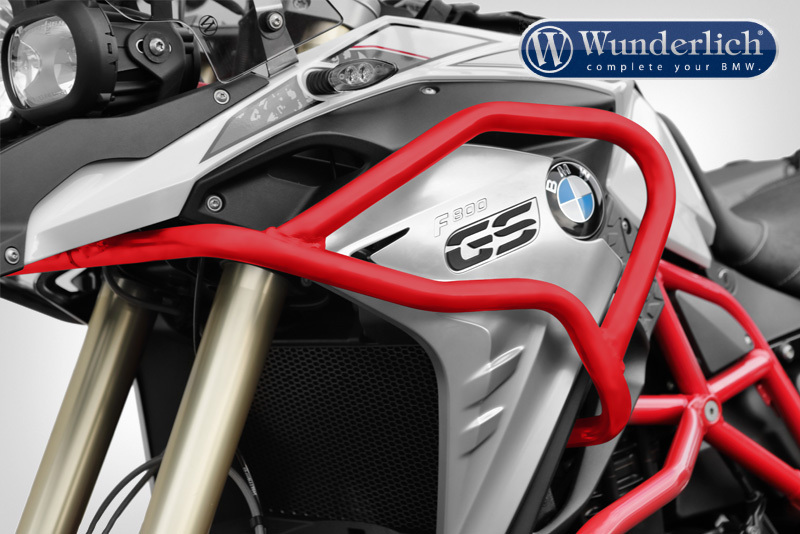 We have developed this new and professional tank protector especially for all years of the BMW F . In combination with the approved crash bars Basic and Adventure this stable guard protects the upper parts of the fairing very effectively. 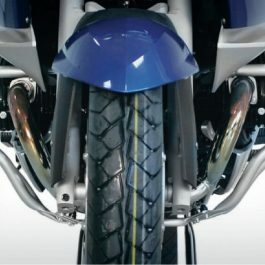 The resilient mounting points absorb the occurring forces reliably and prevent from costly damage which might arise from tipping over after a crash. 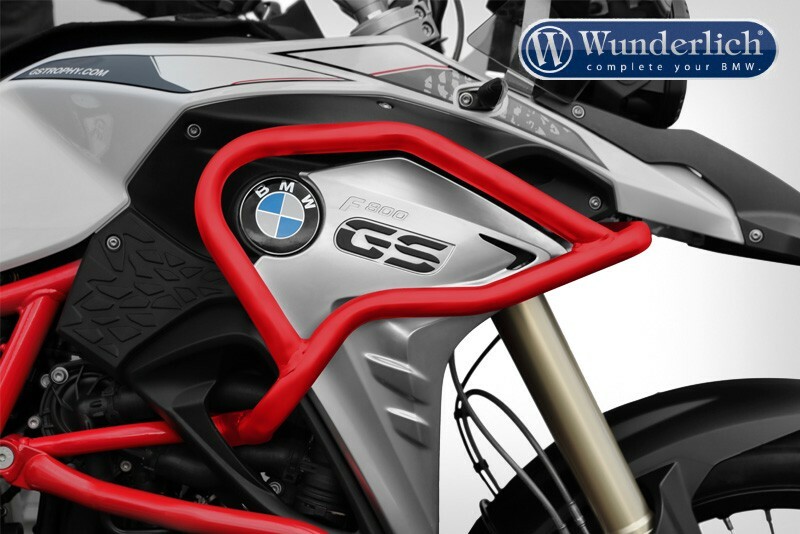 This tank guard forms a stable and homogeneous unit with the crash bar and its optic fits perfectly to the design of the F GS. 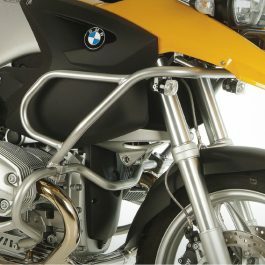 It will be delivered in black color with a complete mounting kit and fitting instruction. 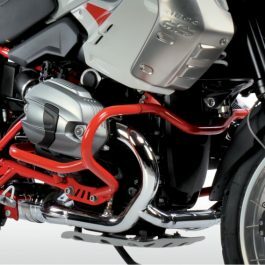 And in spite of the hand crafted, plastic coated steel pipe, it is a light weight. 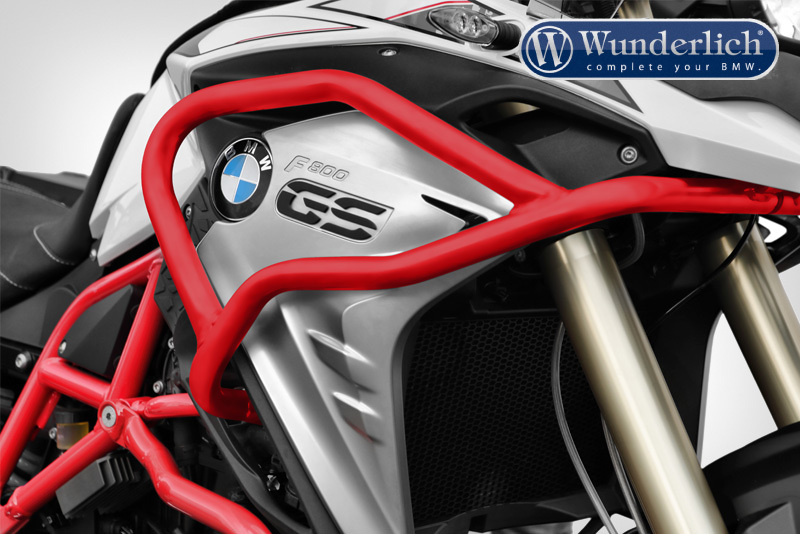 Be the first to review “Wunderlich Tank protector Adventure – red” Click here to cancel reply.